Wow! Do These Folks Really Understand The Concept Of Free Speech? In our part of the world (Ghana/Africa) once someone puts or has “Dr. /Professor” in front of his or her name many people begin to believe that everything that person writes or says must be the “gospel truth” hence not to be challenged. So, it came to pass that somewhere last week at GIMPA Law Conference in Accra, a University of Ghana’s Law Professor, Raymond Atuguba, claimed he had studied or analyzed about 100 cases passed through Ghana’s Supreme Court. Based on those cases’ analysis, Dr. Atuguba posited that in the event of any ambiguity pertaining to the cases considering before the court, the justices involved in the review often tend to vote along the lines of their respective political leanings. In other words, the NPP, NDC, or whatever political party’s appointed judge/justice tends to vote in a way that favors the party that puts that judge in Supreme Court. 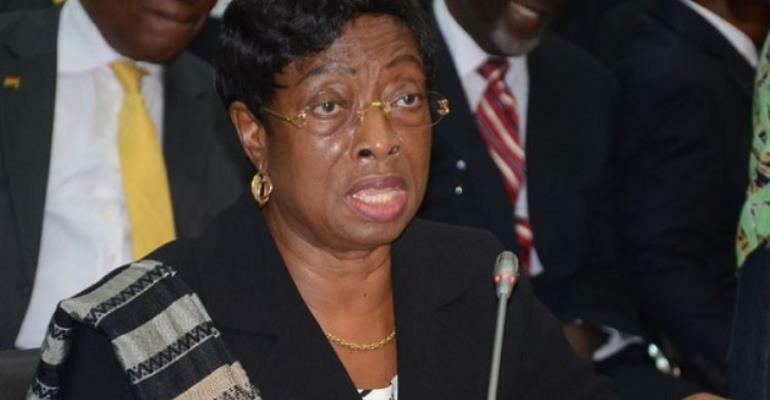 According to numerous media accounts, Dr. Atuguba’s observation did not sit well with some of the appellate court justices present at the conference among them was the Chief Justice Sophia Akuffo. The CJ was reported to have directly “chastised” the presentation by Dr. Atuguba on the grounds that it insults judicial integrity and independence. In fact, the main focus of this write-up is not necessarily about whether or not the Chief Justice’s prompt and direct response to Dr. Atuguba’s so-called research was timely and appropriate. The fact is Judges like all human beings show emotions one way or the other irrespective of the limit or extent of their emotional restraints. Also significant to note is that humans internalized praise, anger, critique, or threat, differently. Chief Justice Akuffo is a human being just like Dr. Atuguba. We can all in different ways deconstruct Chief Justice Sophia Akuffo’s direct and instant “scolding” of Dr. Atuguba’s ideologically-motivated judicial voting analysis. However, one important fact none of us can honestly lose sight of is that as Supreme Chief Justice, it is quite natural, suffice to say, it is within the discretion of Ms. Akuffo to defend her professional ethics and in the same vein challenge certain assumptions raised right under her nose regardless of the setting. Dr. Atuguba may be brilliant academic or legal researcher, but it does not mean he is repository of all knowledge relating to law or he cannot conduct biased research consistent with his political persuasions. I met or came close to Dr. Atuguba one time in 2013 at a hotel in Atlanta (US). He was with ex-President Mahama and was introduced to the people/us as executive secretary to then president. The point is the timing of the study is a little bit curious. Why it did not happen during Mahama’s era? In any event, let us postpone the preceding argument for the meantime and rather dwell on the concept of freedom of speech. Surely, in every budding democratic system, the belief in the rights of free speech forms an intrinsic part of the social and moral fabric of a nation. Suppress or curtail freedom of speech and immediately the citizens are reduced to mere subjects of the state with no rights. Indeed, civil rights and liberties propel contemporary democracy and thus humanize citizens within nation-state. Even though the above observation is normative or universally accepted under the canopy of democratic culture, yet like in all human conditions, freedom of speech is not absolute. It has been stated time and again that one’s freedom ends exactly where another person’s nose begins. The fact that one has right to free speech does not suggest that the other must forego his/her right to speak with the view to defending or disagreeing with some spurious assertions under the guise of academic scholarship or freedom. Stated differently, we understand that free-speech among other human rights are inalienable; but, we must also be quick to emphasis that one’s right to free speech does not allow a person to stand at the Kotoka Airport to scream “I am about to bomb this place now!” Level-headed people understand where this is going. Again, in Africa/Ghana whether it is because of the high illiteracy rate or what, whenever people who are blessed with high education say or spit out some half-truth stories, they normally go unchallenged. People who dare question the underlying assumption or premise of the story/argument are often pushed aside as disrespectful for disputing a claim by a “professor” or a legal expert. In the United States if you teach at the college or university level you are a professor. By that criterion, I’m a professor because I teach at the college level, and guess what? My students and others challenge me all the time because no one has a key to all ideas or knowledge. Rigorous academic studies or researches become more meaningful and worth studying when subject to vigorous scrutiny and analysis. That is why it was so shocking and embarrassing to hear some people who claim to have law degrees to argue that the sharp rebuke or response from the country’s Chief Justice Ms. Akuffo was an affront or insult to Dr. Atuguba’s right to free-speech. Really? Since when in any African countries do we have Supreme Court judges threatening academic free exchange of ideas? Wow! By the way, the CJ also has the right to defend her judicial impartiality.